Data economy calls for cooperation Today the driving force for growth in business is data. In addition to organisations and individuals, data economy affects national economies and competitiveness of economic areas. The estimated value of EU data economy represents around two per cent of the union’s GDP. If extensive development and policy measures are taken in the digital single market, it is expected to double by 2020. Data production and usage are expanding rapidly. Digital footprint is generated by using devices and services as well as by data transfer in processes and interactions with others. Today connected and convenient services are created with data flows. But are we, especially as consumers, really aware of the role of data and its use in the value exchange of services – or even as a commodity in transactions with monetary value or as an input to artificial intelligence? In terms of competitive markets, functionality of economies, equality and ethics, we need to take the discussion of the requirements for more balanced data economy to a new level. As we are moving towards a world enabled by automation and machine learning, data management will become an even more critical factor. It is not so much the amount of data that matters but ensuring its qualitative properties like usability and integrity as well as understanding its functionality and context to meet the needs for data usage. We need to ask ourselves: What kind of a world we want to build with data and AI? Europe falls behind on China and USA as global AI superpowers but computing power and money is not everything. Europe can claim place as a data and AI powerplant by building trust-based data business environment. High-level data protection is a strong asset for us. People value their privacy regardless in which jurisdiction they live in. Data management in companies need to comply and utilise this need for user data protection. MyData- model provides users with control over their data. Human-centric data management brings vast business opportunities to trusted organisations that can master personal data on behalf of users and companies for better services. There is plenty of data available, but it is often not applicable due to its form or location, or it could be firmly controlled by the device manufacturer, distribution platform or data registries, for example. However, the services will be more and more like a network of systems requiring boundary resources and data that company itself is not able to hold on its own. A successful data economy calls for new types of operating models based on data access and shared data. As a driving force of change, data is often paralleled with oil and electricity. But what if data could be seen as renewable energy with nearly endless supply and accessibility? European data economy can flourish only, if we act wisely in harnessing data with the help of technology, innovations – and most of all cooperation. At the moment, data exchange between parties that need data for business purposes is not frictionless. There may not yet be enough understanding about data value exchange, or the revenue models do not translate into joint operations well enough. European companies are not really providing data or application interfaces. However, when examining successful companies on a global scale, the winning strategy seems to be to open up application programming interfaces (API). Data is valuable but safeguarding data like expensive raw materials, such as oil, easily results in silo thinking, partial optimisation and outdated operating models. The new, disrupting operators see the weaknesses of this type of thinking as opportunities. It is, indeed, necessary for surfacing the EU data economy to set general principles for accessibility and interoperability of data, to form guidelines especially for b-to-b- data sharing and to establish data producer and user data rights that resonate with real life scenarios for example self-driving vehicles. How should we promote a balanced data economy in which the use of data in business would benefit all parties equally? What would be our approach to flourish in global data economy? How data availability, data protection and user-based data management can be made the guiding stars in EU data economy? How to ensure borderless flow of data for services? And how to incentivise investments in data economy? 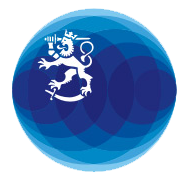 The Finnish Ministry of Transport and Communications has launched a Data Economy Forum. It is aimed to increase understanding of the data economy, learn about and promote data-based business solutions and discuss future challenges common to all. The first event focused on the operating mechanisms of data economy. Data economy was approached through the operating logic behind platforms and scalable service networks. We also looked into data in our daily lives from the perspective of a retail company and a user. In the coming get-togethers we will address data topics with top experts in the field to see how our future can look like in a technology-driven data economy, how to create competitive data markets for the benefit of business, users and society as a whole, and how the much needed cooperation can be promoted also in the global data economy. We also want to challenge all participating parties to pinpoint the data economy issues they feel important to discuss together. These views form the themes of the next Data Economy Forums. Working towards Finnish EU presidency, we want to welcome also you to join us in building a data-driven economy. Data Economy Forum is part of the Government key project on Building a Growth Environment for Digital Business Operations. The author, Taru Rastas, works as Senior Adviser at the Data Department of the Ministry of Transport and Communications.